Market research can be centralized around a company itself or its products and services. Some may be tasked with research to learn about their competition, identify suppliers, discover market trends, or understand their target audience. In fact, market analysis is a key component of a successful strategic sourcing project. It establishes a structured, fact-based approach to your initiative. There are two different types of market research that you can conduct in order to obtain the information you need - primary and secondary research. Primary research has been originally conducted by you, your company, or your group directly from the sources required. Secondary research is the analysis of pre-existing research relevant to your specific needs. Before you begin your project, you will want to select which type of research styles to use to establish the necessary process and tasks. With primary research, the subject matter is uniquely suited to fit the needs and requirements of your project goals. Some of the most common mediums for primary research include surveys, interviews, focus groups, and experiments or observations. There are both advantages and disadvantages to conducting your own studies, which must be weighed when determining if primary research is the best approach. Specificity - Information gathered is tailored for your purpose. Control - You have ultimate control over the method and guidelines of your project or study. Cost - Performing your own surveys, interviews, etc. is an expensive task. 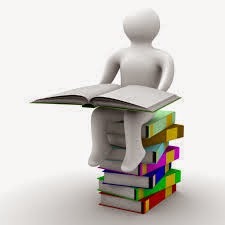 Resources - Primary research demands a great deal of time and materials in order to be conducted properly. Unlike primary research, secondary research is the process of finding sources already available and then organizing and summarizing this information in a way that is meaningful for your purpose. This may mean looking through journals, online sources, and databases for previous research that pertains to what you are looking to understand. Just as with primary research, there are advantages and disadvantages. Cost - Secondary research is typically free with the multitude of information available on the Internet, internal databases, and articles. Accessibility - Internet searches provide you with a wealth of results to review for relevance. Time - Looking through all of the information available online can be a tedious task requiring a great deal of time and energy. Relevance - Without control over the original study, the results of pre-existing information may not be relevant to your topic. The decision between primary and secondary research boils down to the uniqueness of you research objective and the level of control you wish to have over the study. No matter what your overall goal may be, it is still important to understand your options when it comes to types of market research and the pros and cons of each. At Source One, we are frequently asked to conduct market research projects for our clients for a variety of purposes and produce customized research reports based on our findings. For example, we conducted a project for a global manufacturer to help identify suppliers. The manufacturer had limited resources to conduct the research on their own and needed help to determine existing sources of supply that their competitors may be using, as well as conduct a general assessment for a new market they were attempting to penetrate. Source One conducted in-depth research into the local manufacturing market and developed a detailed report outlining companies that could manufacture products in-house and do assembly work, companies that could perform part of the process, as well as subcontractors for additional processing. Outside consultants, such as Source One, have the ability to use internal databases, industry intelligence, and partner resources to conduct research which otherwise may not have been available as a resource. Consultants have the ability to alleviate some of the burdens of conducting research in-house by acting as the research team on the client's behalf. Subject matter and objectives are unique to the research project; therefore it is important for organizations to understand the different types of research they can conduct and develop a clear strategy for how it will be conducted.